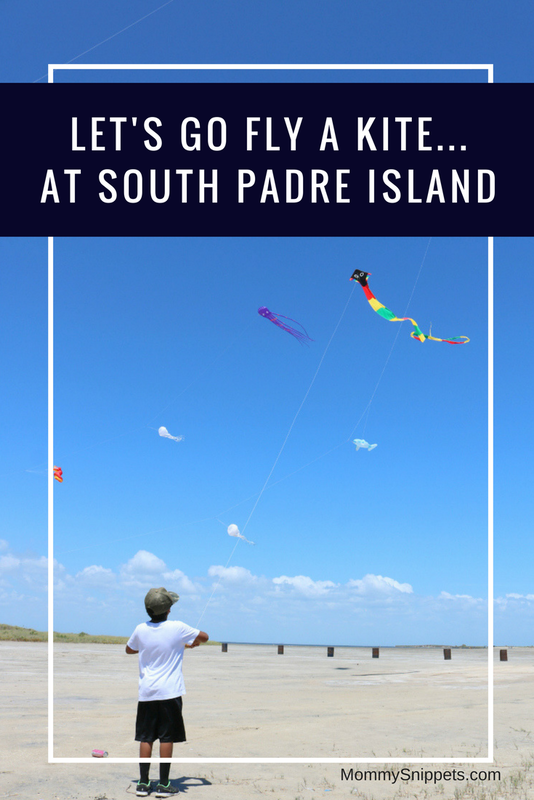 You are here: Home / Beaches and Lakes / Go Fly A Kite on South Padre Island! 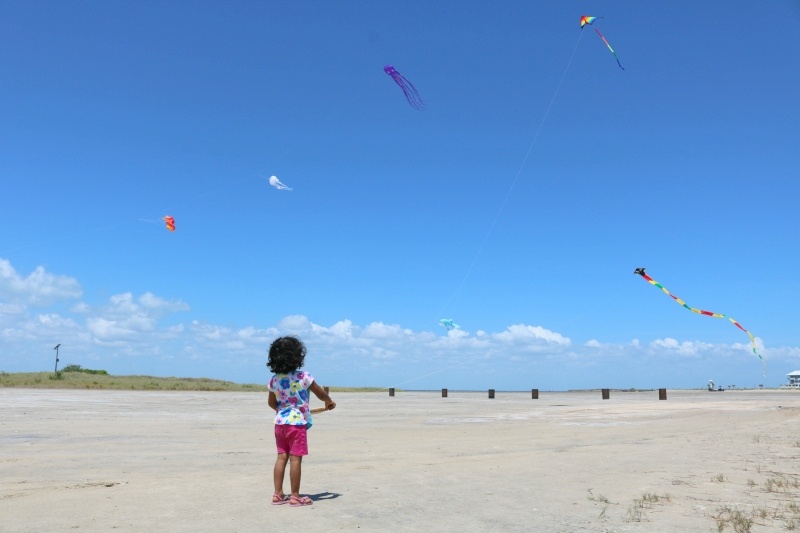 South Padre Island is the perfect Texas getaway for families with children both young and old. While the beach is the main draw, there are several other activities on the island that are perfect for everyone, irrespective of age. One such activity is flying kites. South Padre Island CVB invited my family on an expense-paid weekend at South Padre Island. All opinions, in this travel feature are my own. When Bill Doan visited the island about two decades ago, he knew South Padre Island (SPI) was home. He told his wife Susie he wanted to open a kite shop on the island and the rest, as they say, is history. In a time when kids are glued to their tech devices, tearing them away from the same for some good ol’ fashioned, unplugged, childhood fun will definitely do more good than harm. 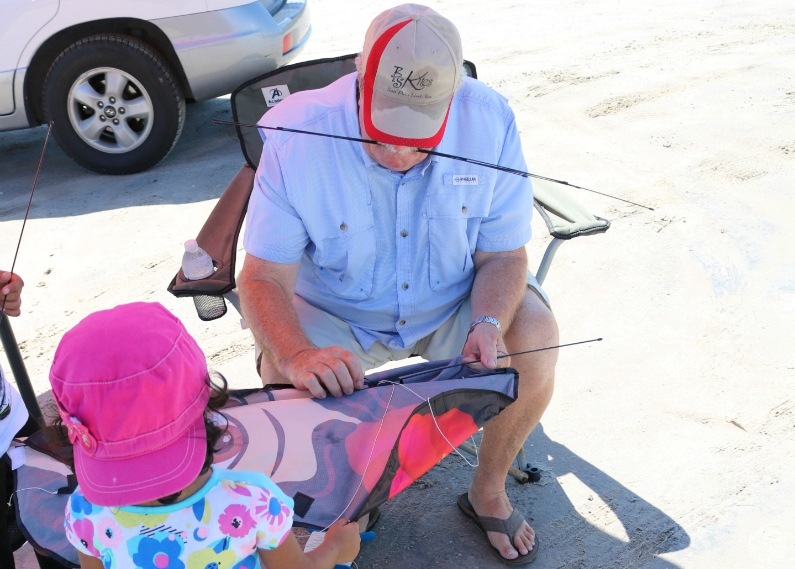 Bill and Susie’s kite store, B&S Kites on 2812 Padre Boulevard, SPI, invites residents and visitors to step in and find a kite perfect for them. 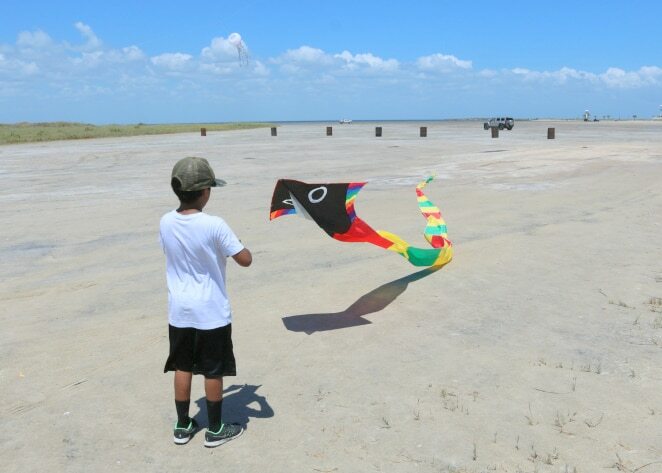 The unique, all-things-kite, store has something for everyone and a kite for every budget. Bill’s heart is to see everyone fall in love with the passion he was introduced to, at the age of 4, by his grandfather. How hard is it to fly a kite? On our last trip to the island, we were honored to get to spend over 1 1/2 hours with Bill. 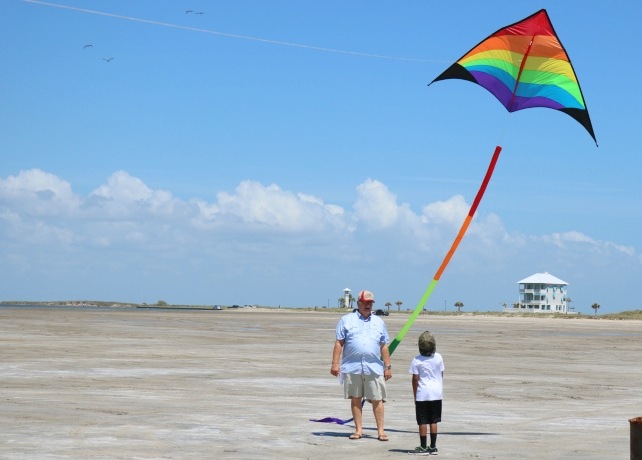 When Bill handed Little Man a kite, I told him to get ready to run and let go of the kite. (Growing up, I remember my dad taking me to the local park to fly a kite. He would ask my sister or me to hold onto the kite while he stepped back far enough and then would ask us to run, let go of the kite and watch it soar.) Bill simply turned, looked at me and said “Ah. Now I’ll show you how to fly that kite. That’s the old school way of doing things” and then proceeded to share that the easiest way to fly a kite right is to hang kites onto a line, like laundry, and allow them to soar, yes, hands-free! and a bouncing seahorse, all effortlessly attached to a single line. 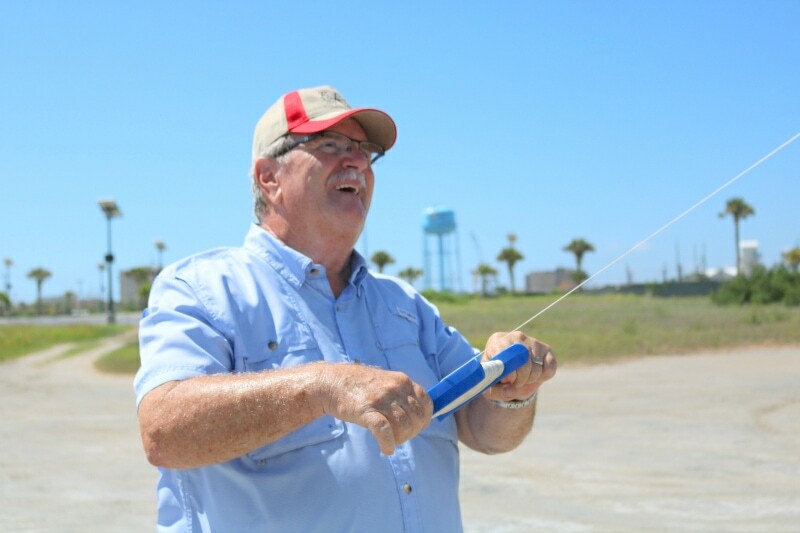 Bill knows the ins and outs of kite flying and buying a kite from B&S kites is more than just a purchase, it’s an experience. 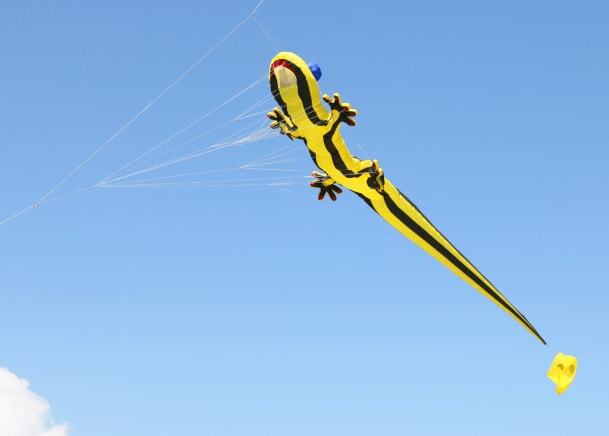 He offers his expertise to customers and even invites them to learn how to fly their kite the right way. And no, size is not a limiting factor. My kids flew amazing kites multiple times their size! Bill also mentioned you don’t need strong winds to fly a kite. 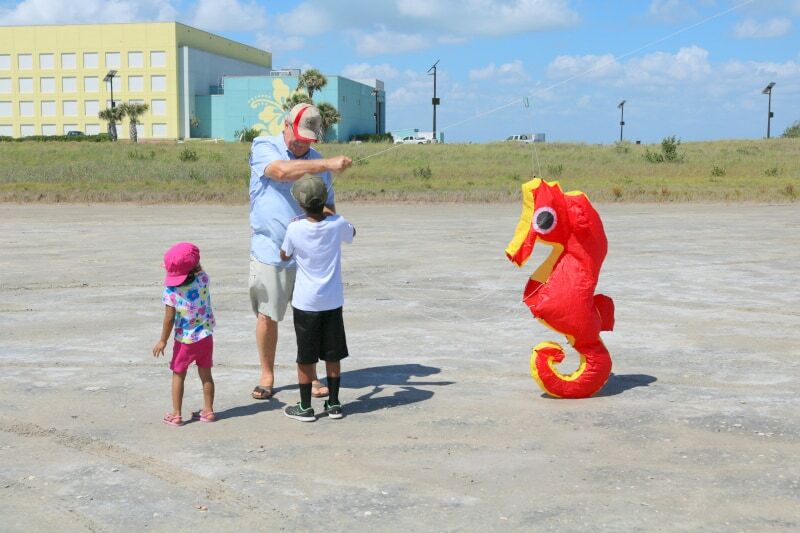 Would you believe Bill has flown kites indoors, in the South Padre Island Convention Center? 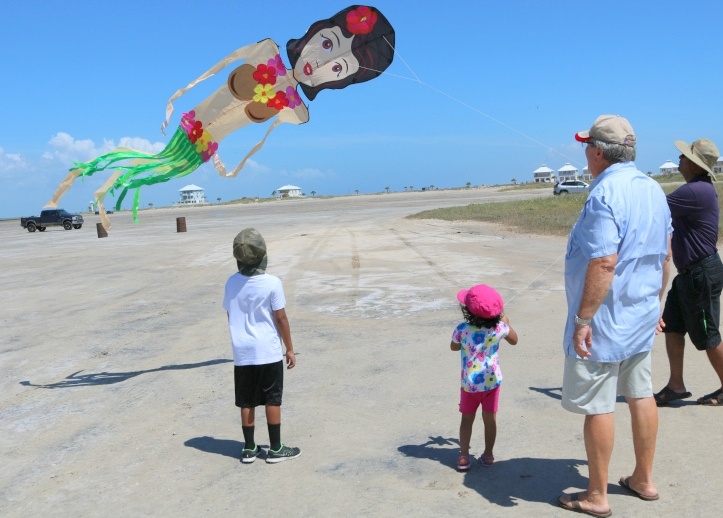 With the upcoming SPI Kite Fest 2018 you can expect to see breathtaking kites fill the skies, intricate kite maneuvers wow the crowds and meet kite pros like Bill Doan and some of the Nation’s best who will make SPI home for the weekend. This annual event is free for the public and one you won’t want to miss! So are you ready? The next time you visit South Padre Island, don’t just pencil in the beach. There’s more!